The secretive transatlantic trade deal between the US and Europe may make it impossible for future governments to reverse the privatization of parts of Britain’s National Health Service (NHS), according to legal experts. The Transatlantic Trade and Investment Partnership (TTIP) is a series of bilateral trade negotiations concerned with reducing regulatory barriers to trade for big business. New legal advice prepared by the UK’s leading QCs on European law for the Unite trade union argues the NHS needs to be explicitly excluded from the deal, which is expected to be finalized later this year. 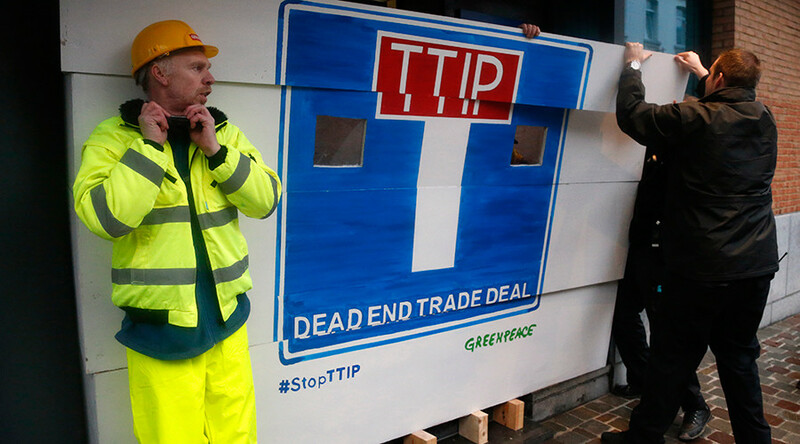 The news come a month after the government came under fire by anti-TTIP campaigners for blocking access to similar legal advice on the deal’s impact on the health sector. Michael Bowsher QC, former chair of the Bar Council, who prepared the advice, argued the deal poses a “real and serious risk” to future governments’ ability to make decisions about the NHS. Boshwer also warned the deal would enable US companies with links to NHS contracts to win higher compensation by bypassing domestic courts. 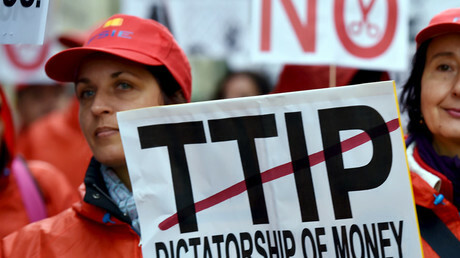 The Department for Business, Innovation and Skills (BIS), leading the TTIP negotiations, dismissed Unite’s concerns, saying: “The NHS is under no threat whatsoever from the TTIP deal or any other trade and investment agreement. “It cannot force the UK to privatize public services or prevent it from regulating in the public interest and any suggestion to the contrary is both irresponsible and false. Unite, which has already held a series of meetings with BIS officials, is expected to present its advice to the government on Tuesday. The deal may be a decisive issue for leftwing Euroskeptics in the June referendum on Britain’s EU membership.